It wasn't too long ago that the selection of wedding rings for men in jewelry stores was limited to gold and platinum rings. But now, the selection is just as varied as those for women. The reason behind this big switch is demand. These days more and more men are looking for something different and want more than a traditional wedding band. If you'd like more than the usual plain style, then take a look through this information about what is now available for men. You may find exactly the alternative you'll really like. 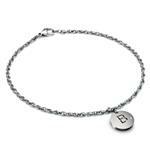 One of the major - and most interesting changes - is in the type of metal you can choose. You're no longer limited to gold and platinum as the only choices. New popular choices include tungsten, two-toned gold, stainless steel, and titanium. 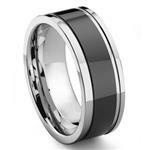 A tungsten ring is a good choice because of its durability and quality. 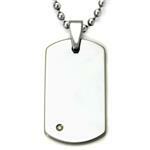 Tungsten, which is unalloyed, is unlikely to cause allergic reactions. 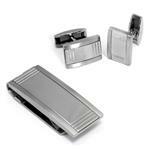 But more importantly, they won't tarnish, are difficult to scratch, and have a natural shine to them. So you just can't decide between gold and platinum? Then maybe a two-toned gold style is the answer! One that features different metals with opposite properties appeals to men who are interested in a band that looks good at both work and play. This type of ring is usually relatively inexpensive. 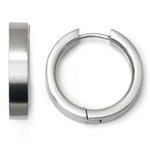 Interestingly, stainless steel has made a return to the jewelry industry. Like tungsten, stainless steel is highly durable and offers a handsome look for a man wanting a stylish wedding band but without frills and an expensive price tag. 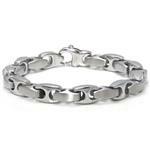 The new best seller in men's wedding jewelry is titanium. Why? 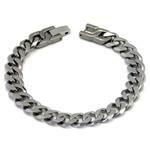 The reason titanium has become so popular with men is style. 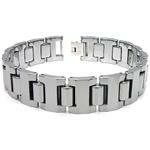 Hammered titanium rings are particularly popular with men because they have a rugged masculine look. Some men opting not to wear a ring do so because they feel like wearing jewelry is sort of feminine. 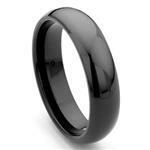 But take a look at some of the black titanium rings and you'll see why they are a big hit with men. Its color is an attention getter for sure, especially when combined with a diamond or other metal, such as gold.